Servant leadership used to invoke a sort of “soft”, “warm and fuzzy” image. The most successful companies in the world got to their position by focusing on profits and operations. The well-being and happiness of their people wasn’t exactly number one on their radar. When you even said the words “servant leadership”, you might have gotten scoffed at! What kind of leadership strategy was that? What people perceived as servant leadership was totally off-base. And generally people were not grasping its endless possibilities, and what it could mean for business growth and success. Suddenly, employers had to start waking up to the fact that employees didn’t simply want to show up to work, clock-in, do their job, then go home at the end of the day. Now, they want more — they want connection, respect, autonomy, work-life balance, and in general, for their employers to help facilitate their evolution into their best selves, both personally and professionally. And it makes sense, too! When we spend SO much of our lives in the workplace, shouldn’t you ENJOY being there? Shouldn’t your employer being doing more for you than depositing a check into your bank account every month? 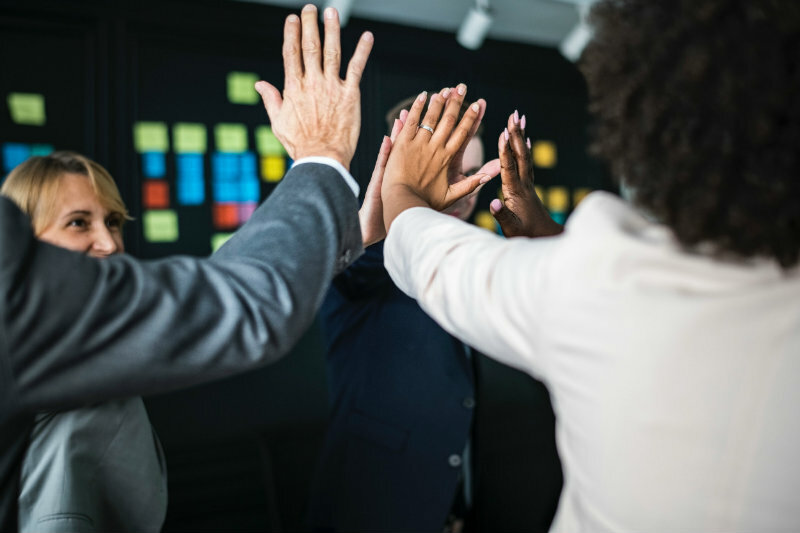 Servant leadership strives to understand how their employees thrive at work, and then takes action to make opportunities abundant and available to them. Think of Maslow’s hierarchy of needs, and you’ll recall that at the bottom of the period, our most basic needs are physiological ones and safety. When applying this concept to the workplace, employers must create a space where team members feel safe and comfortable. That doesn’t mean just having comfortable chairs (although that is important, too! ), it means creating a space where employees feel safe speaking up, sharing their thoughts and opinions, without fear of retribution. Increased financial incentives are becoming less attractive to employees than alternative incentives like discounted gym memberships or healthy snacks in the office. Help your employees take care of themselves by putting their physical health first and foremost. Consider how you can bring your team members closer together by organizing team-building activities, social outings or cultural events. Teams that connect on a deeper level than just professionally will inherently work together more harmoniously. How can you help your team members become their best selves? It is the work of a great leader to identify ways to help their employees grow and develop in their work place and even personal roles. Employees want to feel valued — whether they say so or not. Everyone wants to hear they’ve completed a job well done, especially when they’ve spent weeks or months on a project. Work with your teams to understand how they best receive recognition and then extend your gratitude at every opportunity. Not only is communication key, but also transparency. The more you share with your employees, the more you demonstrate your trust, and when you ask for their input, the more they will feel valued. They want to feel like they are contributing to a greater cause, and will be inspired by your trust in them. You can see examples of servant leadership in every industry, and you may even recognize it in some of your favorite brands. Can you name one or a few? Let us know in the comments below! Looking for executive talent? Contact us here to see how we can partner in your search! Servant leadership wasn’t always popular, but today it is the model for successful companies. See how and why employees thrive with this modern take on leadership.